Have you ever wondered why your doctor takes your blood pressure on every visit? This silent but deadly condition is one of the leading causes of heart attacks, strokes and kidney failure. One in three Americans suffers from high blood pressure, and there are millions of others who don’t even know that they have it. A growing body of research suggests that yoga can be a complement to conventional medical treatment of the disease. In this interview, Timothy McCall, M.D. explores the problem of high blood pressure and the yogic perspective on treatment. McCall references scientific studies, as well as his experiential knowledge of the effects of yoga. With his medical background, he offers deep insight into the disease and how yoga can bring relief to those who suffer from high blood pressure. Timothy McCall, M.D. is a board-certified internist, the Medical Editor of Yoga Journal and the author of two books on yoga and medical care. He has studied yoga since 1995 and travels regularly to India to research yoga, yoga therapy, and Ayurveda. Eva Norlyk Smith: One of the first things that happens at the doctor’s office is that someone will take our blood pressure. Why is it considered such an important marker that every time we go to the doctor’s office, they feel that it’s necessary to measure our blood pressure? Timothy McCall: Blood pressure is considered one of the four vital signs. We look at a person’s heart rate, respiratory rate, temperature, and blood pressure. Those are the vital signs that are used to monitor everyone. But part of the bigger reason that blood pressure became so important is that increased blood pressure increases the risk of heart attack and strokes, and these are some of the major killers in society. Blood pressure generally has no symptoms. Even when it’s sky high, people may not even have headaches. So measuring people’s blood pressure routinely is a way to catch those who maybe only come in once in a blue moon because they have some other minor problem. Eva Norlyk Smith: What is the conventional approach to treating high blood pressure? Timothy McCall: Many people think the first line of approach for high blood pressure is medication. But if you read medical journals and textbooks, they say that the first approach for nearly everyone with high blood pressure is diet and lifestyle changes. Only if exercise, diet, stress reduction, and other measures don’t work (say, over a period of six months or so), then it’s recommend to add medicine. Even in conventional medicine, it’s stressed that for most people, lifestyle changes should be attempted before you resort to medicine. I think there’s an increased understanding in the importance of lifestyle and yoga’s ability to relax the nervous system and the muscles. It’s part of the reason why yoga is such a potentially helpful intervention for people at risk of developing a high blood pressure or who already have it. Eva Norlyk Smith: When you say lifestyle, do you mean the three-fold emphasis on diet, exercise, and stress management? Timothy McCall: Yes. I think Ayurveda – yoga’s sister science from India which comes out of the same Sankhya philosophy that yoga stems from – also has very interesting suggestions that go beyond just diet and exercise. For example, things like doing oil massage on your body as a way to calm your nervous system. Eva Norlyk Smith: How does yoga have an affect on regulating blood pressure? Is it mainly for stress management or are there other affects? by the nervous system, and basically, when an artery contracts, the heart has to pump harder to get blood through that contracted artery. Whether an artery is open or closed, it is regulated by certain hormones and by the sympathetic and parasympathetic nervous systems. We can directly affect those with our yoga practice. Eva Norlyk Smith: Have there been any research studies on how yoga might affect high blood pressure? Timothy McCall: There have been a number of studies that have found that yoga can result in some reduction in blood pressure. Small but clinically significant reductions in blood pressure have been shown with yoga practice. But remember, these studies tend to be short-ranged studies of eight or twelve weeks. Still, there’s every reason to believe that the benefits of yoga pile up over time. We can even get into spiritual things when we talk about yoga. People who do yoga, they talk about trying to find your Dharma. What are you on this planet to do? Why are you here? And if you know why you’re here, it’s good for your blood pressure because you can align yourself with your life’s purpose. This “yogic thinking” is not something that has ever been studied scientifically but there’s every reason to believe that it’s true. Generally, as you do yoga, you develop a heightened awareness of your body. People who are doing a lot of yoga tend to change their habits for the better. They tend to eat healthier, are less likely to smoke, and decrease their alcohol consumption – all things that are proven to help lower blood pressure. Eva Norlyk Smith: People often want to know which pose is best for high blood pressure. Of course, there is a lot more to it than just one pose, wouldn’t you say? Timothy McCall: That’s right. But the thing about yoga therapy is that one size does not fit all. What will work best for one person may not work for another. The type of yoga that would benefit one person might be very different from the type that would benefit others. That’s why I tend to shy away from these kind of one-size fits all descriptions like, “Here’s the sequence of poses for high blood pressure.” I don’t think it’s that simple. 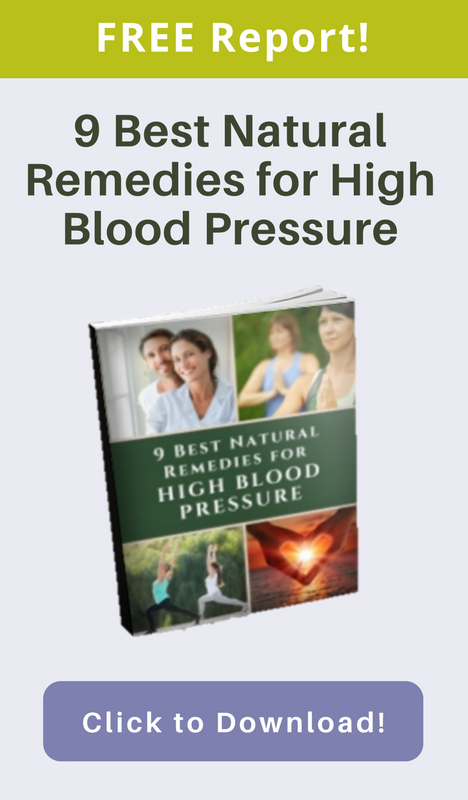 For information on Dr. McCall's YogaUOnline course see here: Yoga for High Blood Pressure. Roseanne Harvey is a writer, editor and geeky girl who lives and loves life in Montreal. Her popular blog It’s All Yoga Baby is about yoga and other things, with a mission to spark investigation into the relationship between yoga, the body and popular culture. Active offline as well as online, Roseanne is a co-director of Yoga Festival Montreal and the co-editor (with Carol Horton) of 21st Century Yoga: Culture, Politics & Practice.